Interior Design and Finishes, Custom Furniture & Art Curation by SRC Interiors Inc.
My goal for this young family was to create an interior that reflected a balance of comfort and style. Working closely with the contractor and the homeowner we also helped create a beautiful custom kitchen and interior architectural details. Located on Long Island Sound it was important to respect the home’s historic roots while still giving the client an updated coastal interior. 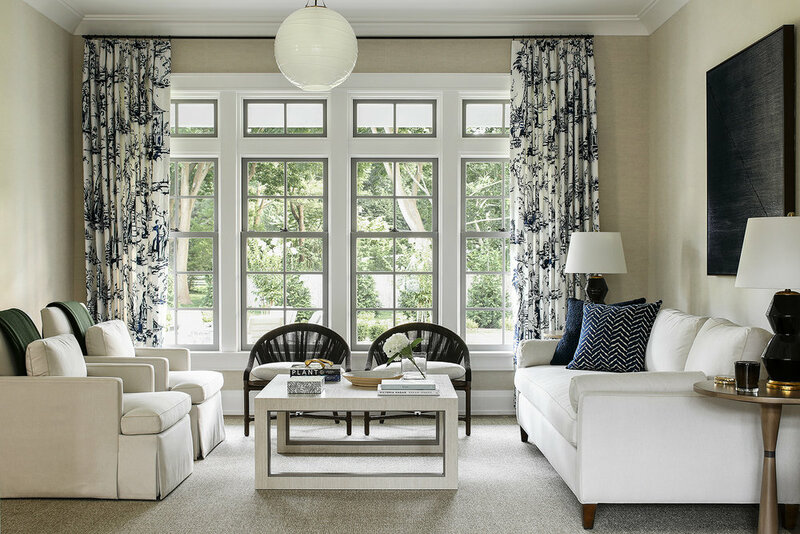 The color scheme was selected to complement the views from every room of this home.